Rich, dark denim structures five-pocket jeans with a vintage look and a clean, tailored silhouette. Graduate jeans fit like the Protege on top and the Matchbox from knee to ankle, pairing a relaxed waist with a slim tailored leg. 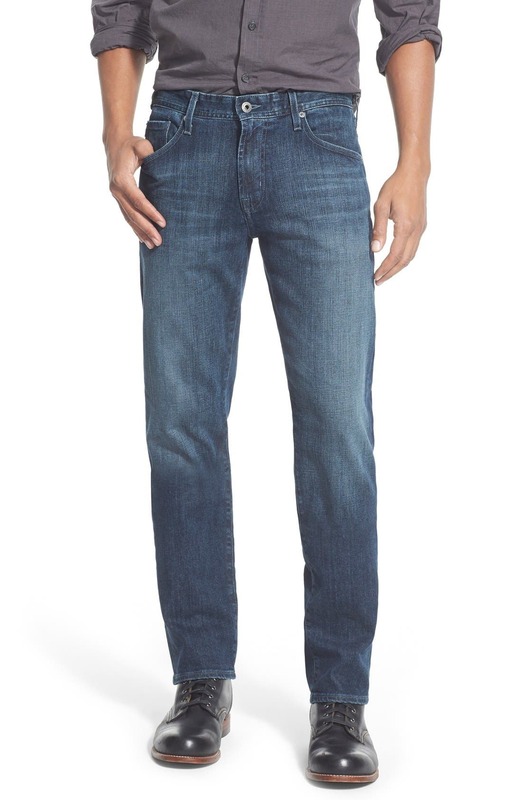 Style Name: Ag 'Graduate' Slim Straight Leg Jeans (Stallow). Style Number: 676951 7. Available in stores.